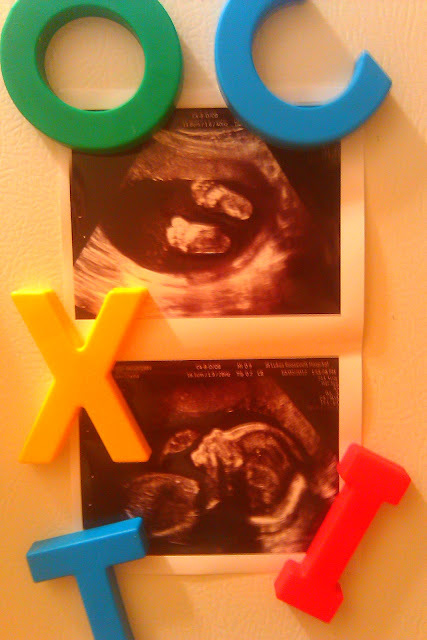 I had my ultrasound this week and we found out that we are having a boy. I can’t believe it. Maybe because I only have a girl, but in my mind all things baby are girl. I was very surprised. Plus the thought of anything male coming out of me kinda blows my mind. I am really having to wrap my brain around this. It’s really great though because I love to plan and make things and not only can I give away most of my daughters baby stuff now without too much guilt, but I now have a whole new world of boy stuff that I have never really looked at. We are pretty excited around here! HAPPY BIRTHDAY TRUE BIAS !!! Congratulations! We have a girl and a boy and I promise that you will love being a Mama to a boy. Girls are more fun to sew for and shop with, etc, but the love between a boy and his Mama is indescribable. Being a mama to one of both is the best combination ever! I know the feeling! We just found out that our third is a girl (after two boys) and I just don’t know what to think! I mean, I’m excited, but it’s like it’s a whole new world. I do promise that having a little boy is super duper fun! I agree with Kelli, I also have a son and daughter, while my baby girl is my little sweetheart, she has daddy wrapped around her finger. My son loves his daddy, but he loves to snuggle with mommy and he steals my heart everyday. Aw! Congratulations!! This is very exciting news! Now you get to start picking out all sorts of cute little boy gear! That’s very exciting! Boys are fun & you can have a mama’s boy. They hold you in a special place and it’s nice to be that! Boys are fun. I got one after 2 girls. It has been different, but so fun and so worth it! Good luck! Such great and exciting news! Congratulations, this is wonderful!! Congratulations! I’ll look forward to all the cute stuff you make for him. Congratulations! You’ll love a boy! Yay! Congrats! I’m excited to see what fun little boy outfits you come up with! Congrats! I’m so excited for you. I think sewing for little boys would be really fun! Congratulations indeed! I hope this is a welcomed surprise. Some of the best things in life aren’t what we thought they would be. And let’s just face it, boys are MUCH less expensive that girls! so exciting Kelli!!!! I love baby boys! !